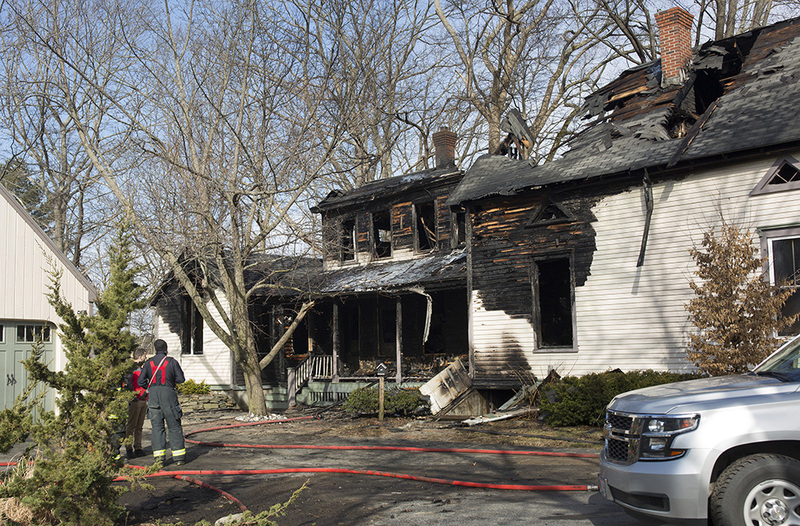 No one was home at the time the fire struck early Tuesday, and investigators will be searching through the rubble to try to determine a cause. A home on Ocean House Road in Cape Elizabeth was severely damaged in an early morning fire Tuesday and will need to be torn down before the cause of the fire can be determined. 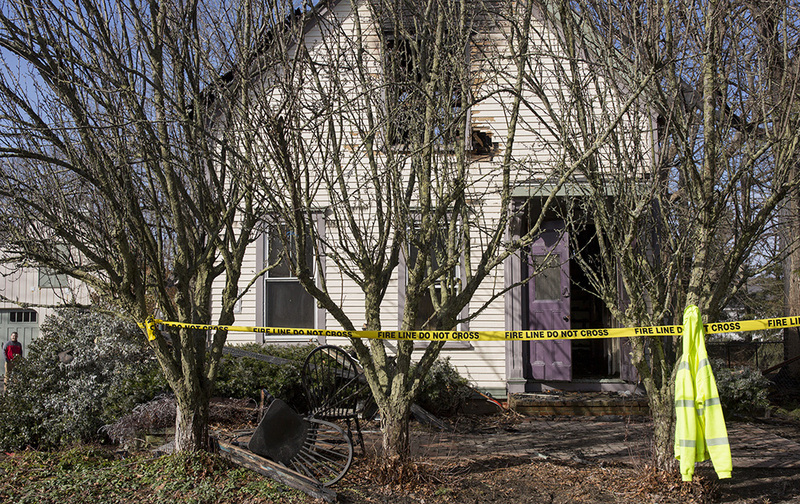 State Fire Marshal Joe Thomas said Tuesday night that his office plans to bring in heavy equipment Wednesday to tear the house down. 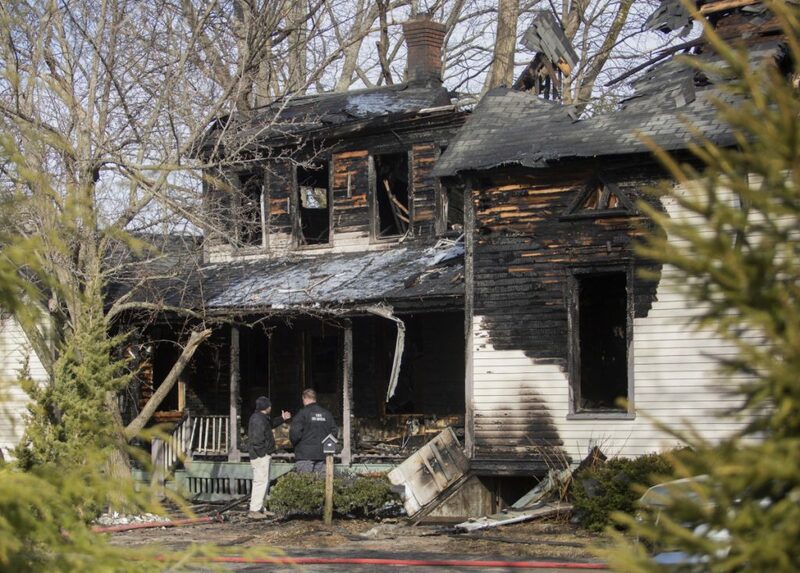 Once the site at 51 Ocean House Road has been cleared, Thomas said investigators will sift through the rubble and try to determine what started the fire, which was reported at 2:49 a.m. Firefighters said no one was home when the fire broke out. A member of the firefighting crew was taken to Maine Medical Center in Portland with a hand injury. Contacted Tuesday evening, Cape Elizabeth Fire Chief Peter Gleeson said the firefighter was expected to see a hand specialist, but the chief declined to offer more details about the nature of the injury or the firefighter’s identity. 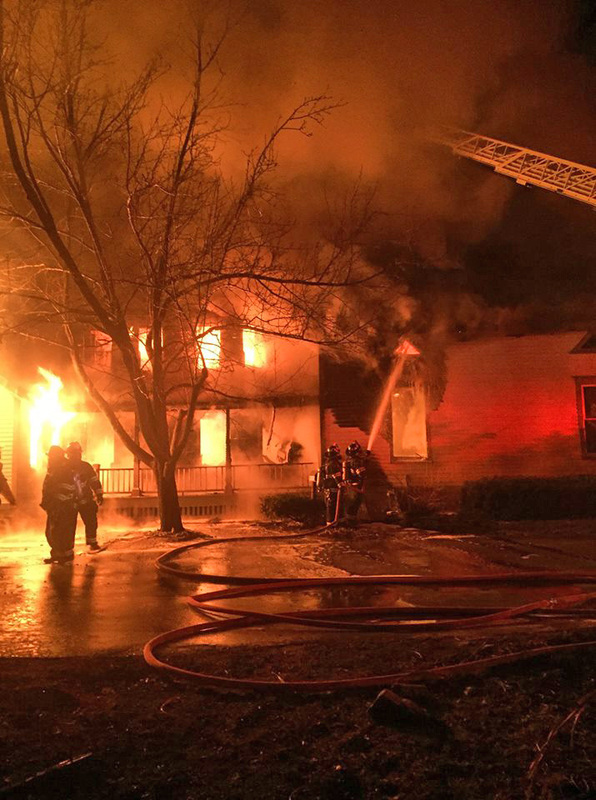 Heavy fire was already showing from the house when firefighters arrived and it spread rapidly, according to officials. It took fire officials several hours to confirm the home’s resident was at Sugarloaf when the fire broke out. Tax records indicate the single-family home is owned by Lauren Long. The property is assessed at $352,500, including $239,600 for the building’s value. Ocean House Road (Route 77) was closed for several hours while firefighters fought the blaze. The road reopened to one lane of traffic shortly after 7 a.m.
Crews from South Portland, Scarborough and Portland assisted Cape Elizabeth firefighters with putting the fire out.